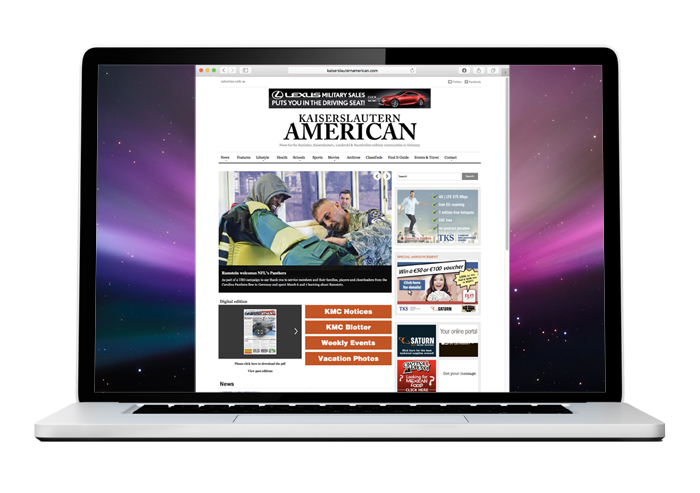 Kaiserslautern American is the official online military newspaper for the Kaiserslautern Military Community (KMC). It is owned by the 86th Airlift Wing and published by AdvantiPro with an exclusive contract. Place a website banner to win more customers online. Our differently sized banners allow you to successfully advertise online on any budget. Gain even more attention with this type of banner. Striking and dynamic – stand out from the competition!